Veneer Stone is a Family owned business which commenced trading in 1998. We have already undertaken a number of prestigious projects throughout Australia for Architects, Builders, Property Developers, Home Owners and Renovators. We would welcome the opportunity to earn your trust and discuss how we can make your ideas become a reality. Veneer Stone is based on the belief that our customers’ needs are of the utmost importance. Our entire team is committed to meeting those needs. As a result, a high percentage of our business is from repeat customers and referrals. We hope you enjoy visiting our page. And, as always, feel free to contact us anytime. 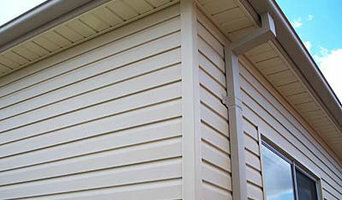 Mitten Vinyl Australia have been leading the marketplace for supply and installation of cladding materials for over 30 years. Family owned and operated, we pride ourselves on supplying the Australian and New Zealand markets with high quality Vinyl Cladding, PVC Double-Glazed Windows and Composite Decking. We've forged a long-term relationship with our trusted supplier, and we've been offering the same exceptional high-quality product for many years. Crafted using the most advanced technology and highest quality raw materials, our range of products are guaranteed to suit any building, architectural, renovation or DIY cladding project. Our cladding product range includes most styles of wall cladding, including exterior cladding, vinyl cladding, aluminium cladding, cladding systems, house cladding, gables, eaves, vents, shutters, fascia and accessories. 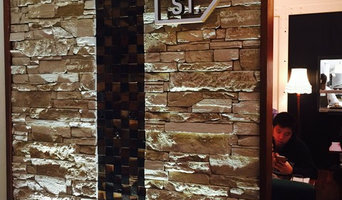 At Brick and Stone Construction we are passionate about creating beautiful finishes with stone. Frank has dedicated his career to refining and mastering his stone masonry skills using the region’s iconic sandstone and a range of innovative stone and masonry products that have become available. Speak to Brick and Stone Construction today for advise on how you can make stone at the heart of your next project. Keystone Acoustics has maintained a strong commitment to the environment for over forty years. They not only set and maintain high standards for the suppliers they work with, but for every aspect of the company as well. The manufacturing processes employed along with energy consumption management systems, allow keystone to continually increase environmental awareness while upholding their high standards for the production of top quality wall acoustic panels, acoustic ceiling tiles and perforated panels. Their products embody this mission through their high level of quality and durability. They strive to use renewable and recyclable resources and avoid the incorporation of environmentally damaging raw materials into their production of wall acoustic panels, acoustic ceiling tiles and all other products. It is their goal to help conserve the environment for present and future generations. Norstone provides innovative natural stone products, hand-crafted and designed to inspire. We specialise in feature stone wall cladding for contemporary walls. Specialising in copper, zinc and aluminium roofing and cladding. Installing using the euro system. Located in sydney. Trinity Stone Construction is a highly respected and well know stone masonry company established in 1981 by Derek Harris, an Irish mason trained in the United Kingdom as a restoration mason. Derek is dedicated to the traditional craft of stone masons from the rustic dry stone to the fastidious attention to detail of classic restoration stonework. Some exterior contractors in Waterloo, New South Wales can provide you with planning tools that allow you to see before and after images of your house. Engage with a professional to see what their services offer. They may also need to work with other contractors to adjust framing or roofing to suit your desired exterior. Here are some related professionals and vendors to complement the work of cladding & exteriors: Building Project Managers, Architects, Roofing & Gutters, Home Builders, Design & Construction Firms. Find a Waterloo, New South Wales home exterior contractor on Houzz. Scroll through this page to find professionals in your area. You can narrow your search by selecting your nearest city or postcode. Browse professionals' latest projects or product photos, read reviews and message them directly.